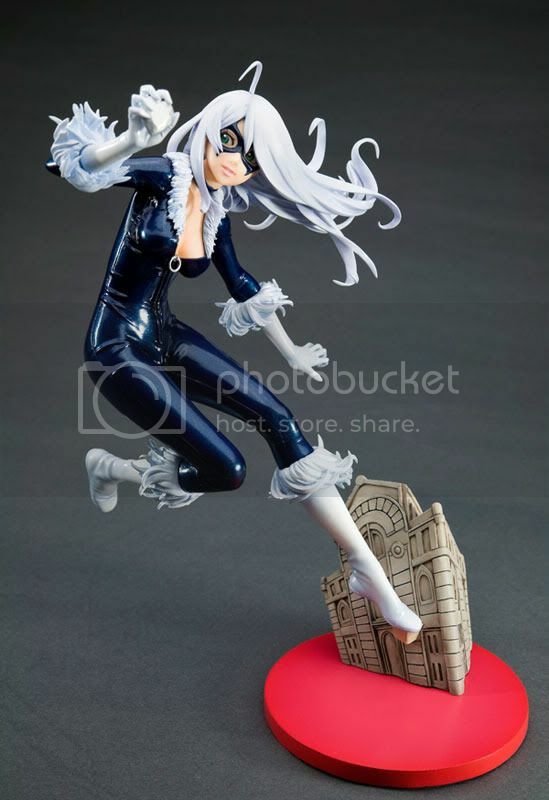 Kotobukiya is going to release the Black Cat 1/7 PVC figure from the Marvel Comics The Amazing Spider-Man. 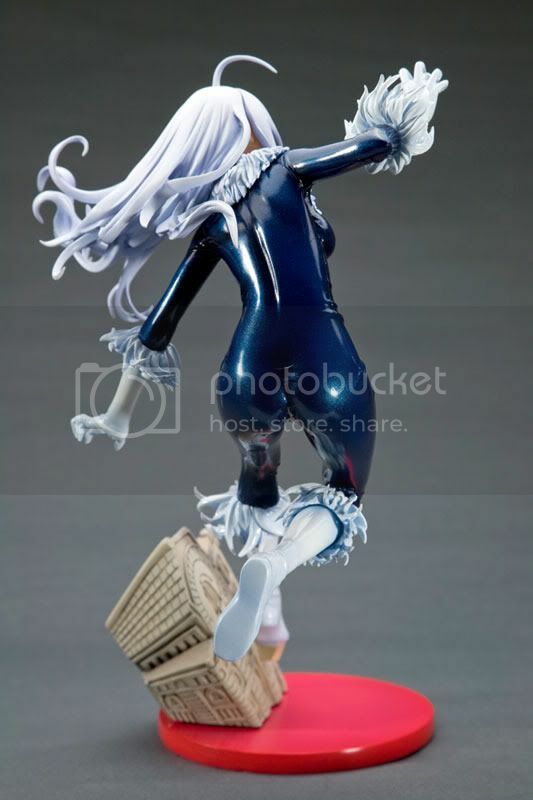 This figure is approximately 230mm in height and will be released in February 2011 around 6,200 yen. 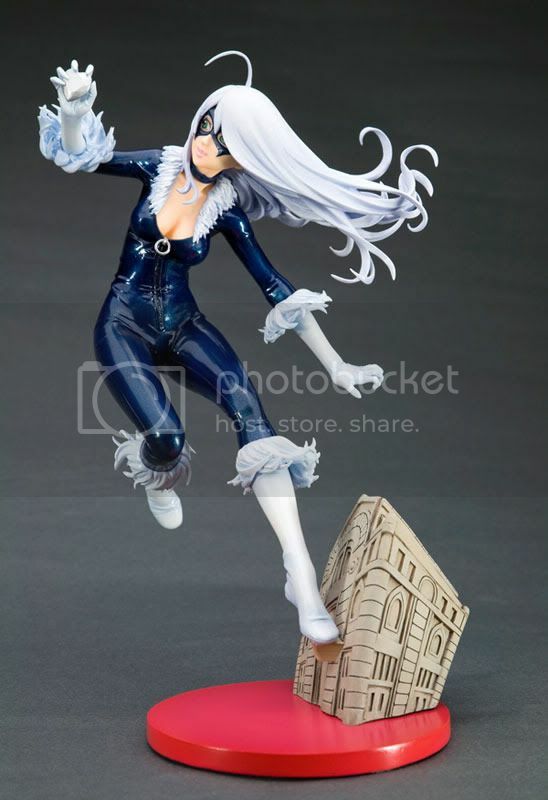 Here comes the newest release in Kotobukiya's worldwide hit series Marvel x Bishojo, the Black Cat! 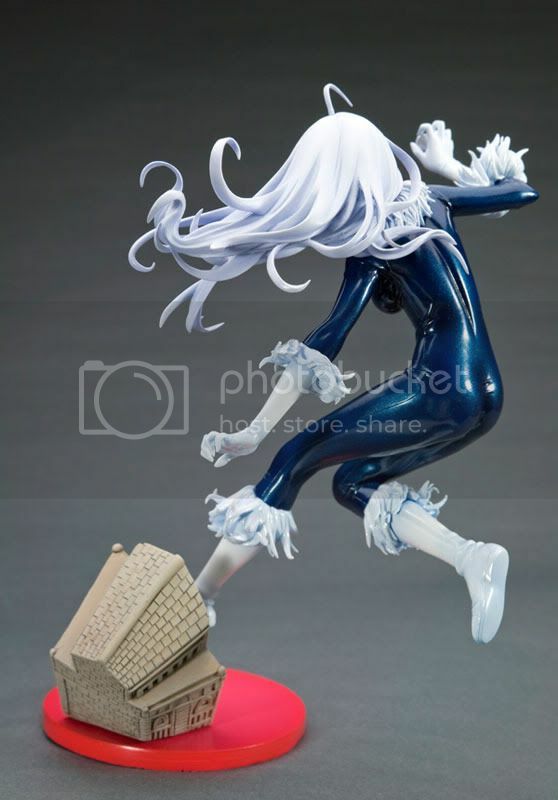 Her overall looks is awesome. 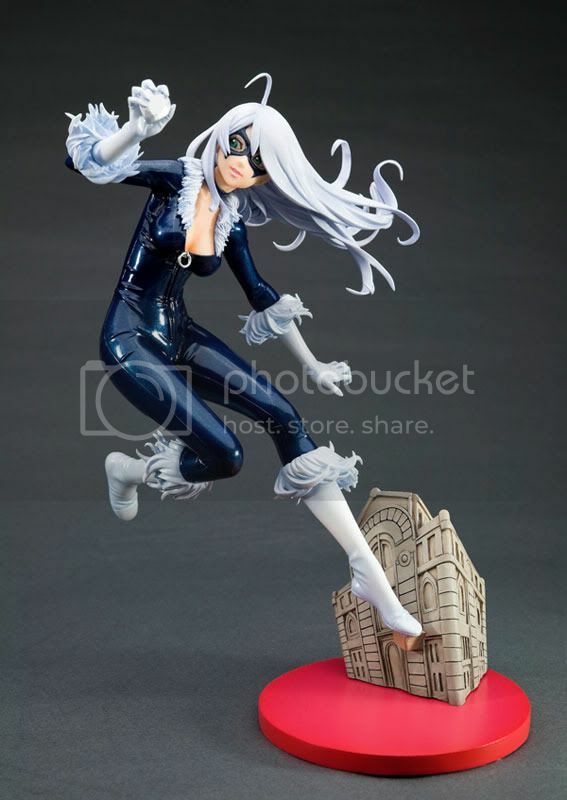 Her pose looks nice, and the base design is also cool. 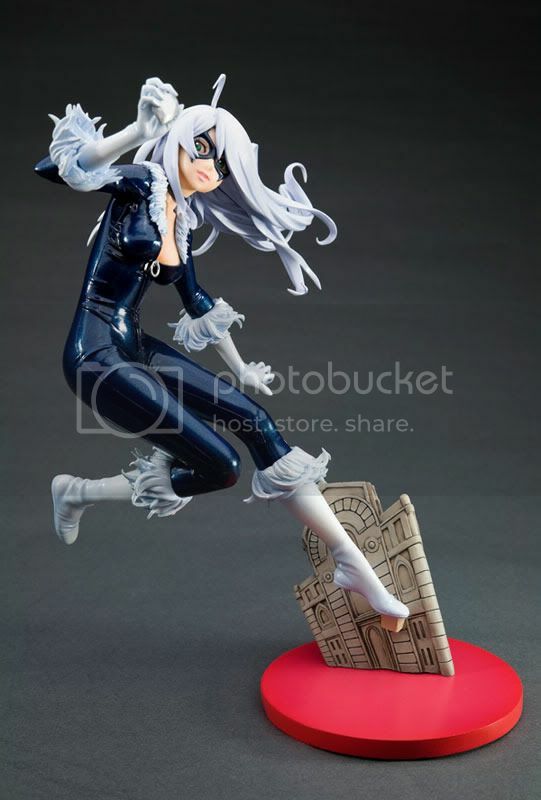 More importantly, she looks so MOE to me. 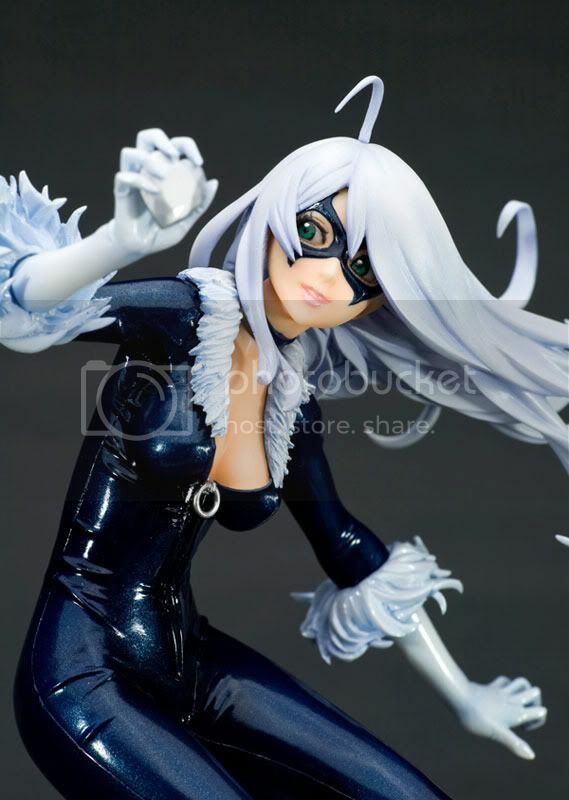 This Black Cat figure will be released under the Kotobukiya's Marvel Bishoujo Series. 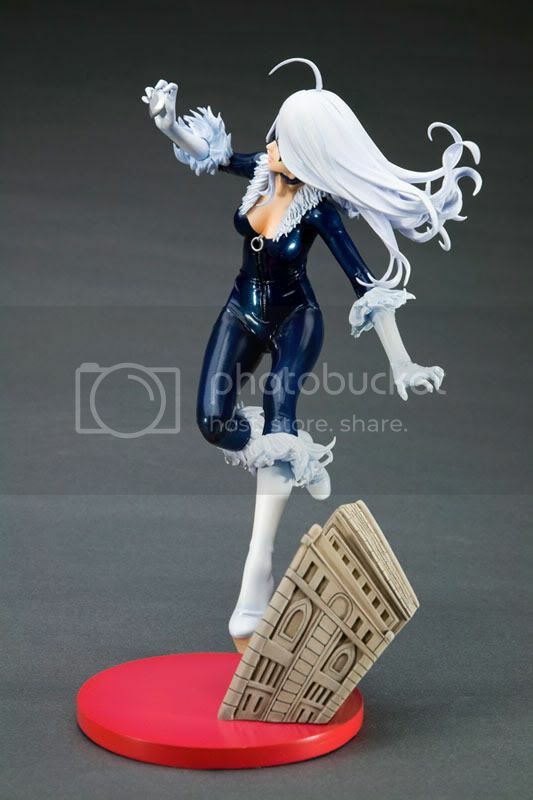 And for those who don't know, both the DC Comics Bishoujo Statue series and Marvel Bishoujo Statue series characters are redesigned by Shunya Yamashita. 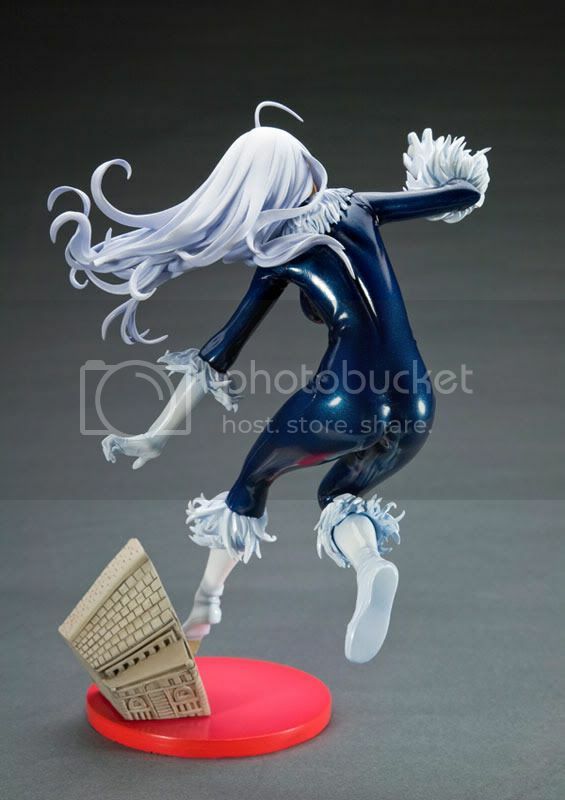 So no wonder if all of those characters remake have a cuter aura than the original US design.